I volunteered to help with the Speak Your Peace booth at the Dubuque Farmers’ Market. Farmer’s Market is my favorite because of all the different and unique booths that range from training dogs to baby clothing, gifts and fresh foods and veggies. When we received the invitation to the Cascade Chamber’s Lunch and Learn event, the Inclusive Dubuque coordinators and I were immediately intrigued by the opportunity to listen to keynote speaker, Himar Hernandez. Himar Hernandez is the Community Development Specialist with areas of expertise in Latino community and business development. 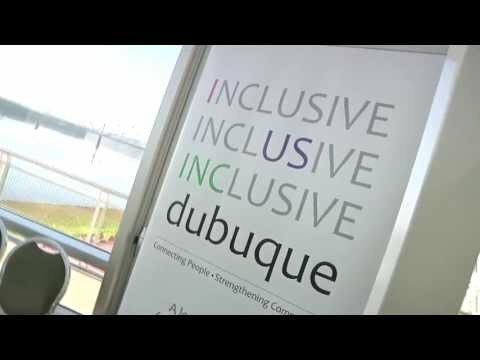 Introducing Inclusive Dubuque, a local initiative focused on creating a vibrant and welcoming community.